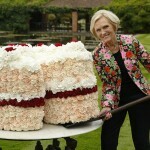 Much like the feeling the swept across the UK on 24 June, 2016 (the Brexit vote), more than 15 million fans of The Great British Bake-Off are wondering just what the heck happened as the most-watched program of 2015 is getting ready to bid farewell to the BBC and head into the unknown waters of Channel 4. 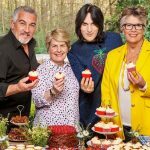 With five episodes remaining in the current series, Channel 4 has to be wondering just what it is they are getting beyond Paul Hollywood and a tent. While it’s been confirmed that hosts Sue Perkins and Mel Giedroyc and judge Mary Berry will not follow, there have been rumors that 2015 GBBO winner, Nadiya Hussain, might follow Paul but the Junior Bake Off judge recently confirmed there has been no offer as of yet. From a viewer perspective, what you will also be getting with the new show is adverts throughout each episode that will mercilessly disrupt the ‘bake-off’ rhythm that had been so meticulously developed over the past seven series. 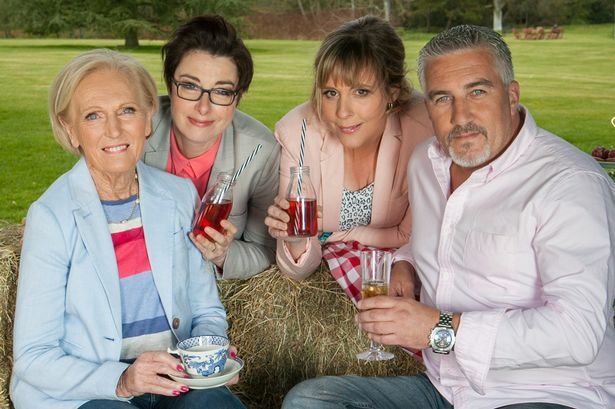 Just in case you have been away from any form of communication for the past few weeks, beginning next year, The Great British Bake Off (or whatever it may be called going forward) will call Channel 4 home. 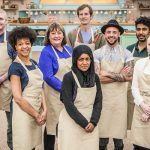 The show where cooks battled it out weekly with the hope of being named Britain’s best amateur baker, was the definition of kindness. Ruthless and humiliating, it wasn’t. It was gentile in the fact that, in the day and age of cut-throat reality shows, you truly got the sense that contestants and judges alike really cared about each other. 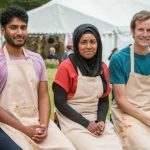 This was never more evident that during the last year’s finale which saw Nadiya Hussain win the 2015 competition. Genuine tears of joy flowed from all corners of the tent and, I’m willing to bet, across the homes of the almost 15 million viewers for the finale. Channel 4 will begin airing the program in 2017, starting with a celebrity special in aid of Stand Up To Cancer. Earlier rumors had celebrity chef Jamie Oliver as a possible judge but he has, in recent days, done his best to squelch them saying he hasn’t the time for such an undertaking. He did offer a suggestion that Channel 4 should target Dawn French and Jennifer Saunders as potential hosts. 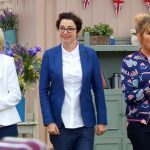 Now, reports flowing out of the corporation have the BBC in serious discussions to create a new rival cookery competition program with Mary, Mel and Sue that would go head-to-head with Paul and his tent. What that will look like, is anyone’s guess. 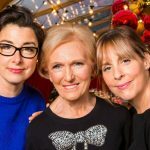 Given that Love Productions, the producers of Bake Off and owner of the GBBO brand, it would be safe to say that the BBC would face stiff opposition if it attempted to copy the format of Bake Off too closely. While it’s unfortunate that we are at the point we’re at, what’s done is done no matter how many scones the noble families of the BBC and Channel 4 hurl each others way. Whatever happens, it’s time for this ‘game of scones‘ to end. Let’s hope the viewers will turn out to be the winners as it looks like sooner rather than later, we’ll have two ‘bake-off’ programs to enjoy.